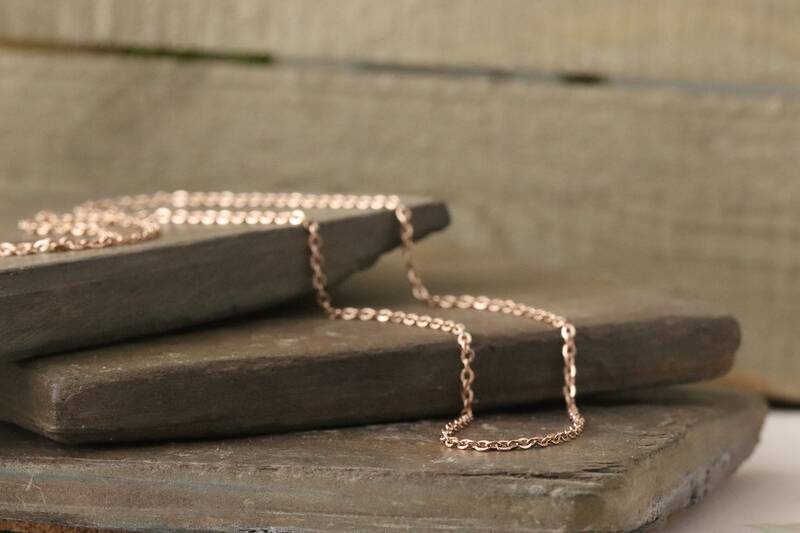 14k Rose Gold Plated Stainless Steel Cable Chain. This listing can be added to any of my other listings. Please specify if you would like this chain to REPLACE the chain on your order, or if you would like it IN ADDITION to the chain on your order so that you can assemble the necklace yourself.